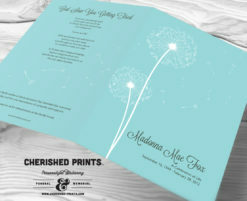 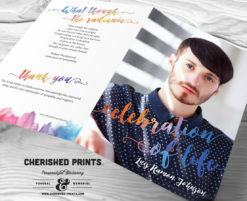 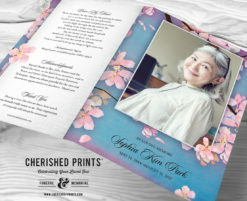 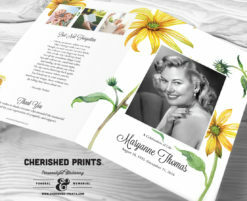 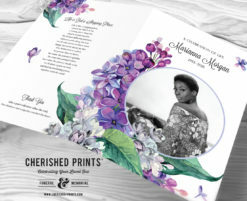 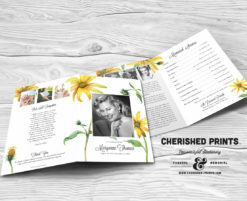 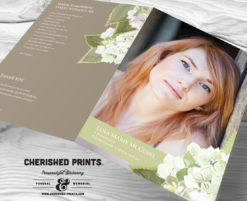 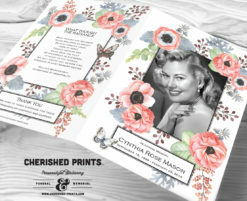 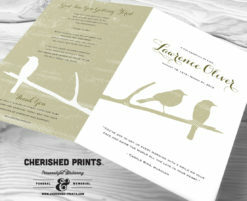 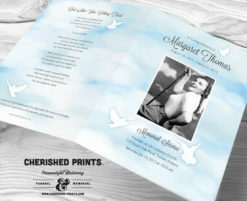 Over 40 made to order Custom Celebration of Life Programs – Funeral and Memorial Services by Cherished Prints. 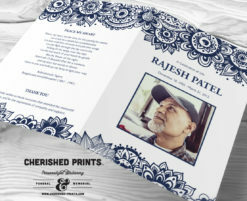 The function of the program is to serve as a guide to the service and talking point to sparking conversations and reflection amongst the guests. 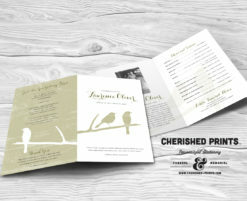 Select a design, share your content with me, then we’ll take care of the rest. 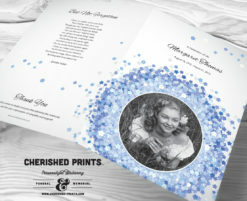 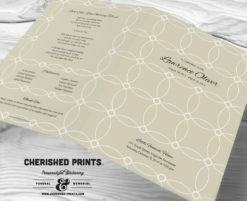 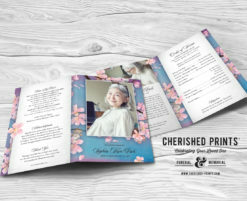 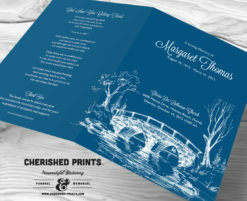 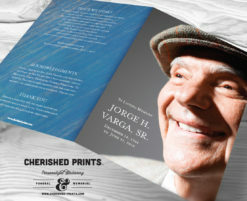 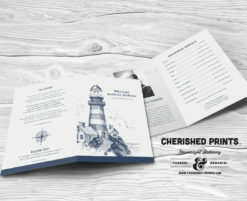 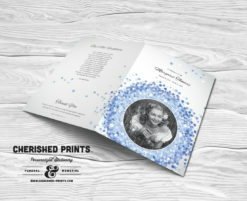 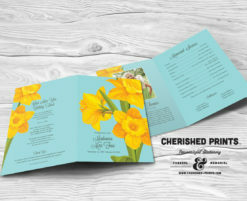 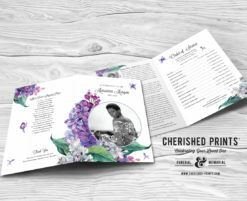 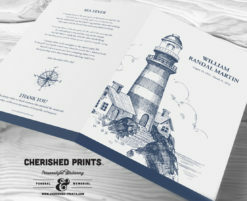 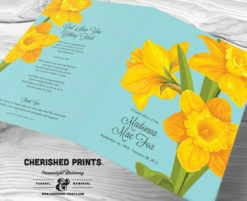 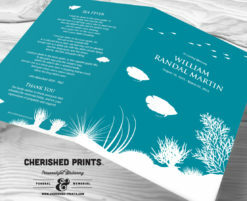 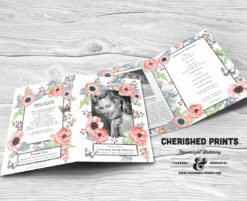 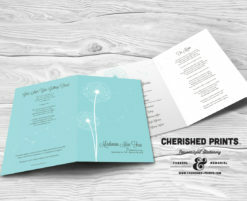 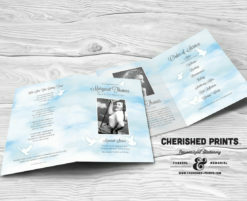 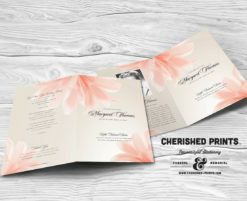 Cherished Prints will send you a custom draft in PDF format to review and comment within 24 hours. 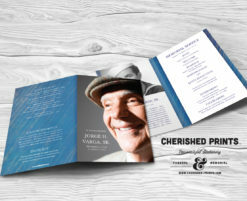 Faster in you upgrade your listing to RUSH delivery. 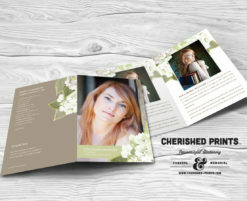 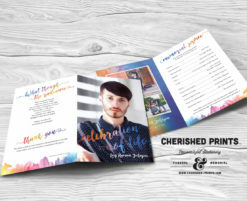 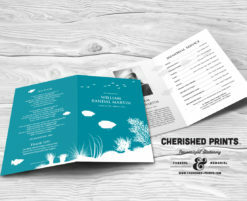 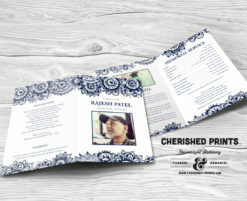 Cherished Prints is also proud to offer printer services. 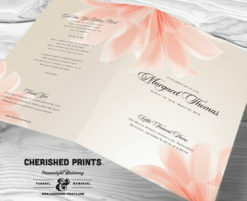 We utilize fast high-quality digital printing and will come trimmed, printing and cello wrapped for protection.